(NaturalNews) Every time the foot hits the pedal, a blast of smoke billows out the rear cannon of the vehicle. The rush is on, to go further, faster. Pure oxygen from a forest breeze is replaced with rising carbon dioxide levels, blowing out the exhaust pipes. More roads are paved, cutting through the landscape. The trees fall, one after the other, as the green is erased for a sky of grey. Can the earth sustain such abuse -- an exhausted atmosphere choking on the exhaust of relentless human pursuits? In the darkness of night, the street lights line the streets, putting off an eerie glow. Their heads are drooped over in unison, humming a sad tune. Just beyond the streetlight glow and the chaos of people pushing on through the night is a trail wandering off into nature's arms. In the silence, in the darkness of trees, there is a voice. It is alive among the trees, where the sounds of nature connect the spirit. As the moon shines through the tops of trees, it's here where the listening ear is empowered to understand. By slowing down and appreciating what is natural and pure -- the simple things comes to life. What was once driven over and crushed could now be the miraculous creation inspiring the spirit. What are we destroying as we rush to prove? What are we really gaining, and how much of this serenity are we willing to lose? Something as small and overlooked as the honeybees pollinate the vegetables crops of an entire society, yet they are dying off to industrial agricultural pesticides. Something as trivial as a seagoing snail could be the creature that holds an entire oceanic food web together, but they are now disintegrating in acidic waters chock-full of carbon dioxide emissions. In fact, a group of "wing foot" seagoing snails are beginning to struggle in the ocean seas. These pteropods make up the base of many oceanic food webs, providing food for smaller fish and salmon. According to a recent survey, these tiny snails are beginning to deteriorate in the earth's oceans because of acidic conditions. Their shells are dissolving, with holes showing up in their magnificent design. Acidic water conditions are now breaking these creatures down and killing them off in record numbers. What is causing acidic water conditions? Scientists hypothesize that its because of the rising carbon dioxide levels. 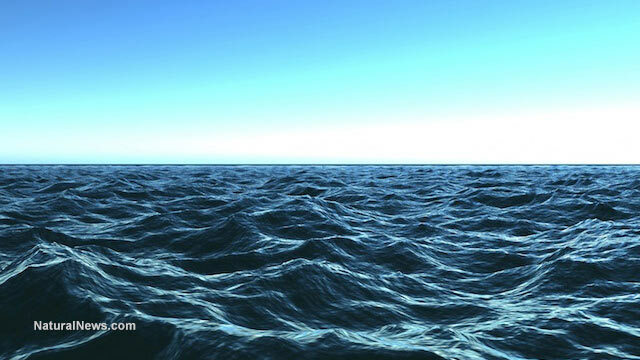 Scientists estimate that about a quarter of carbon dioxide emissions are absorbed by the oceans. This reduces the natural levels of a particular calcium compound in the waters. Animals like clams, oysters, mussels and sea snails use this calcium compound for the structure of their shells. As the ocean becomes acidic, these shells easily disintegrate, weakening the bottom of the oceanic food chain. Geologist Jonathan Payne and his colleagues at Stanford University have shown that there was a previous time period on Earth where the oceans went under a significant acidification process. Caused by high volcanic activity then, the acidification is preserved in rock formations that occurred during the Permian period. According to paleontological theory evidenced in ancient rock formations, the increased levels of carbon dioxide from volcanic activity caused a massive die-off of sea life, more than 250 million years ago during what geologists call the Permian-Triassic extinction period. As the climate continues to change in the face of relentless human progress, can the earth self-regulate the chaos? By not understanding, respecting or listening to the signs and sounds of nature, humans may reap consequences beyond their remedy. Once it's too late, there may be no going back. Is it time to idle down and back off the pedal? Is it time to take a walk through the trees and appreciate the balance, the blessing of all that sustains us?